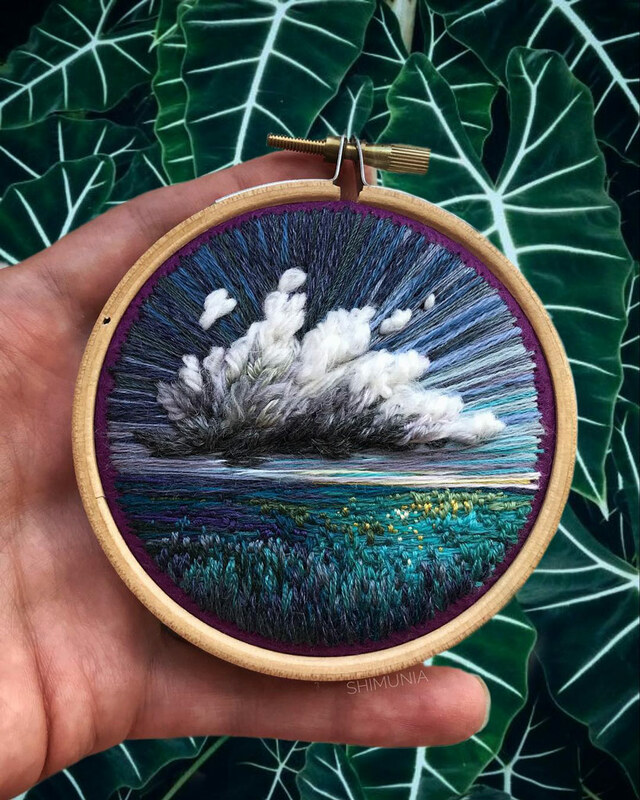 russian artist vera shimunia swaps paint brushes for needle and thread, mastering the art of embroidery painting. 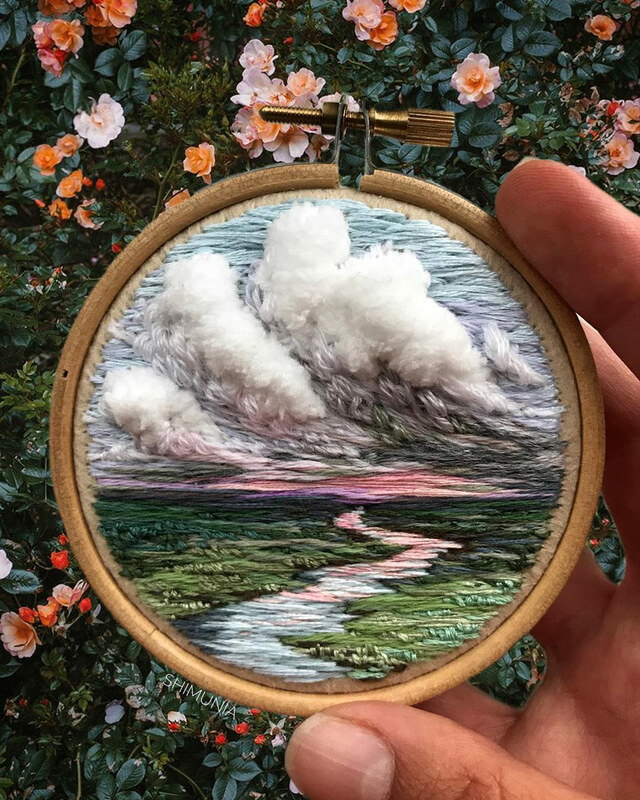 in her series of intricately sewn scenes, she captures life-like clouds, rich sunsets and magnificently rainbow-hued skies. 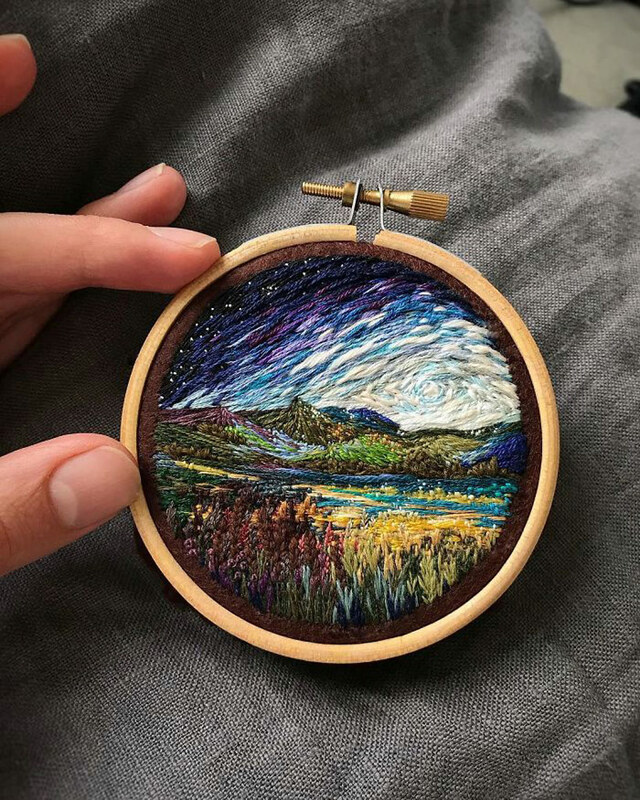 stitched together using a range of colorful threads, shimunia crafts her landscapes onto palm-sized embroidery hoops. 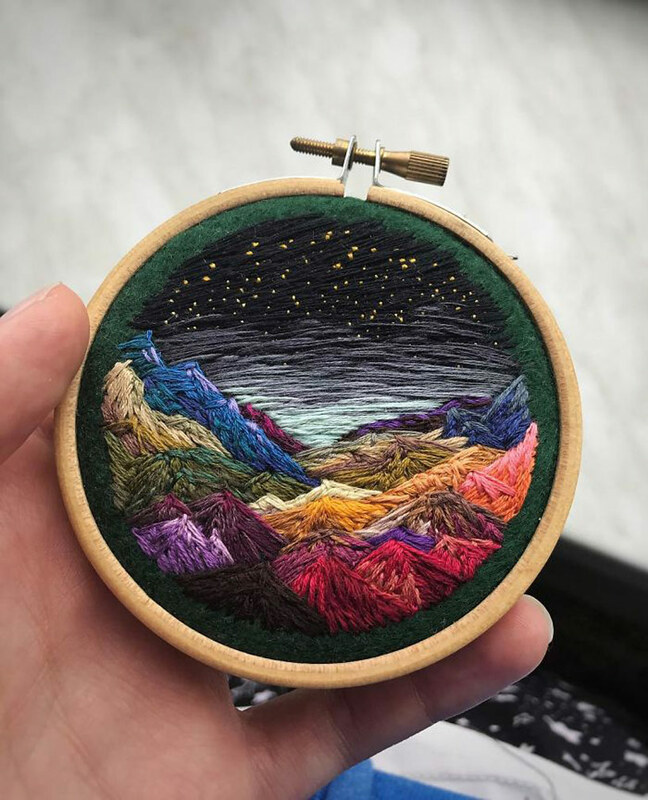 she uses various stitch and knot styles as well as differently textured threads including thin, thick, and even three-dimensional fibers. 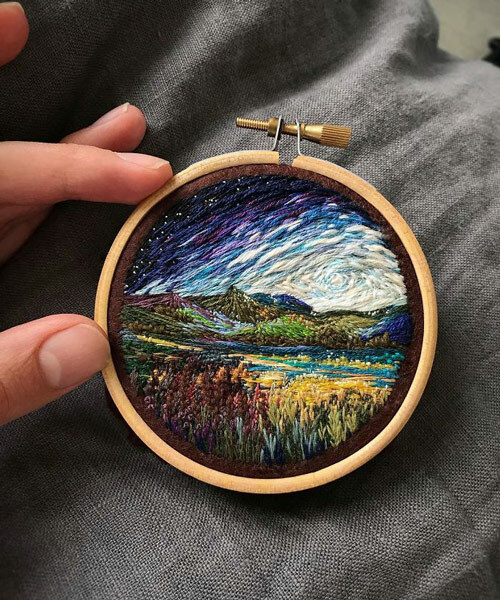 as well as small scale landscape scenes shimunia also creates tiny finger tip-sized pieces. 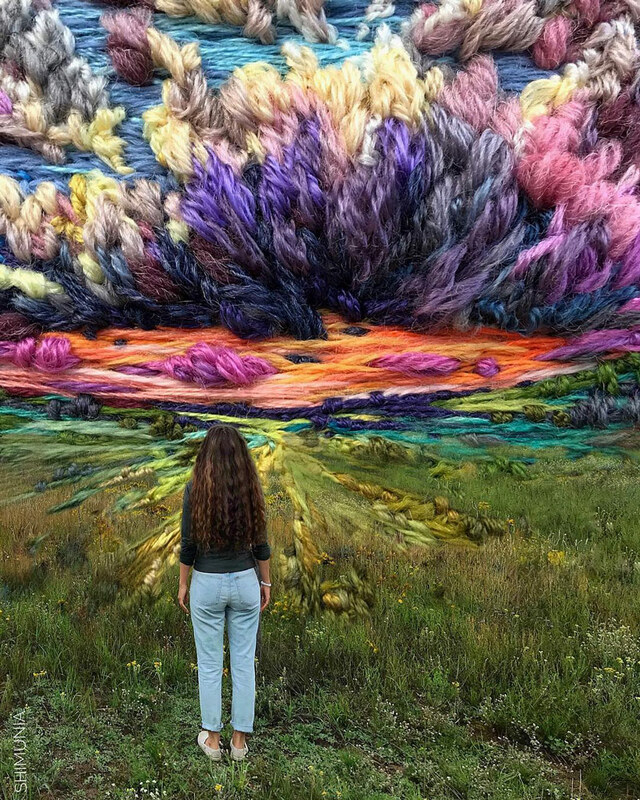 her latest works merges the embroidered landscapes with real images to create surreal scenes. 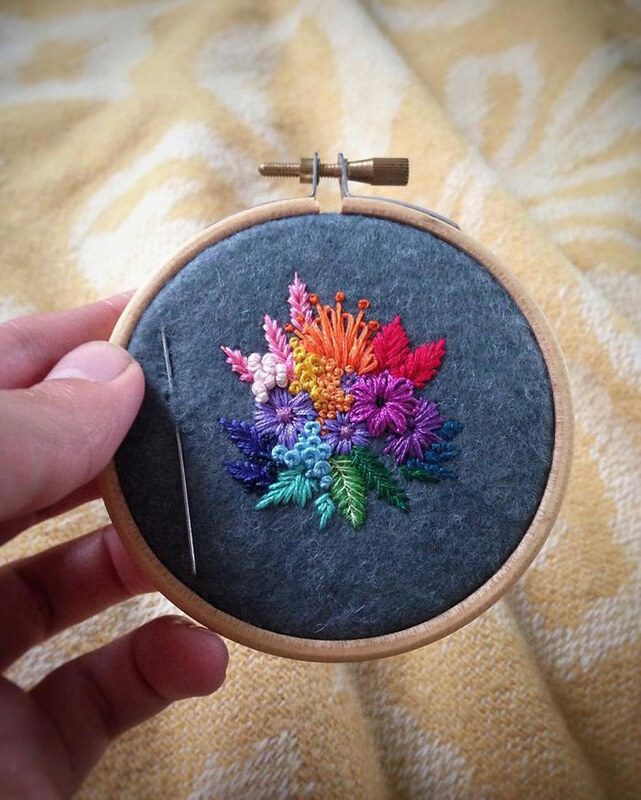 you can find more of shimunia’s work on instagram, and purchase her embroidery designs on etsy. 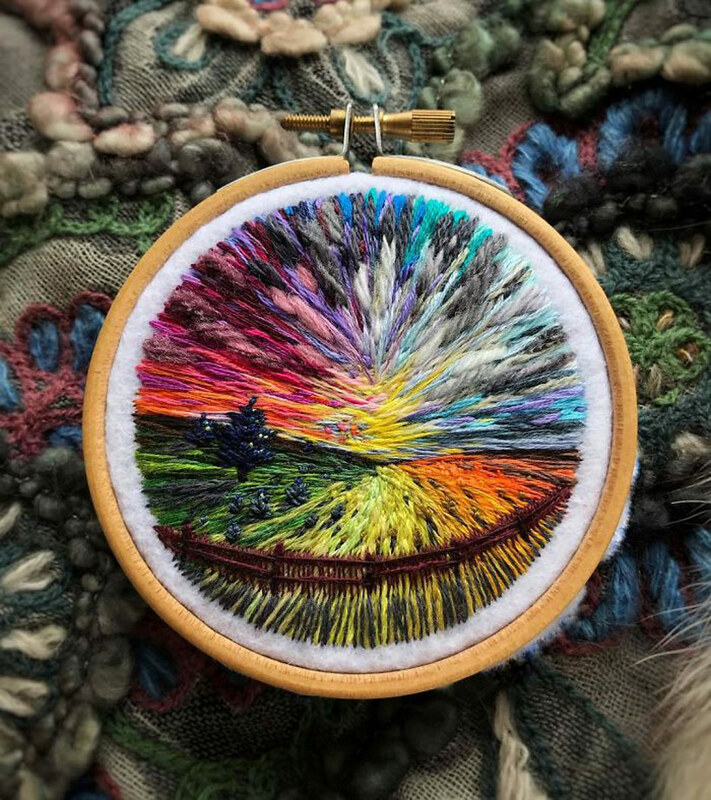 You do such beautiful work. 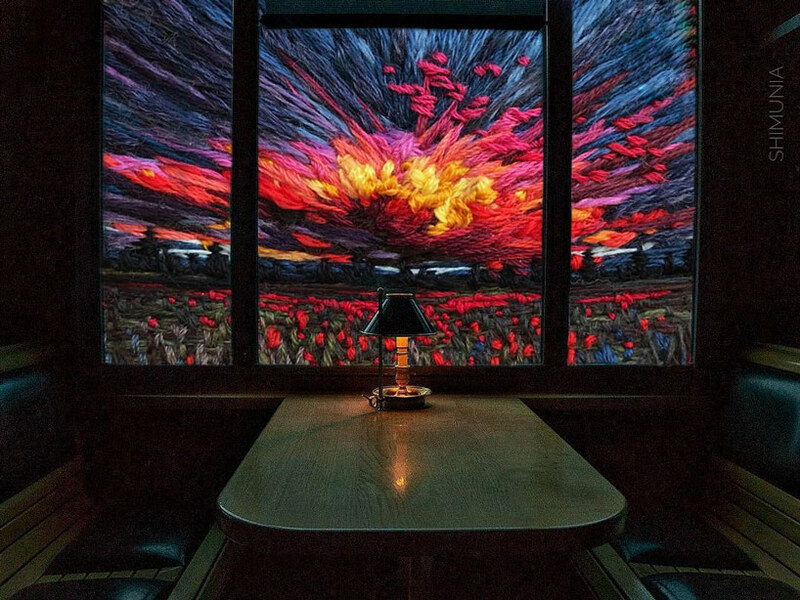 Worth the time and effort you put into this. 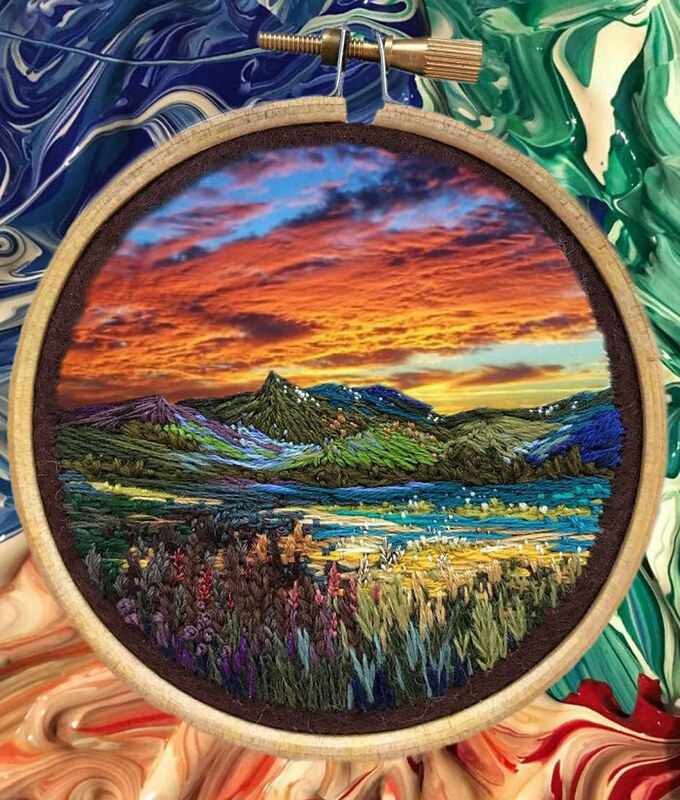 I love doing crewel but prefer cross stitch.